A flat tied sheaf is much like a bouquet, hand-tied in a different style to enable the flowers to lie flat. We've used scented golden and yellow roses, herbs and foliage in our arrangements. 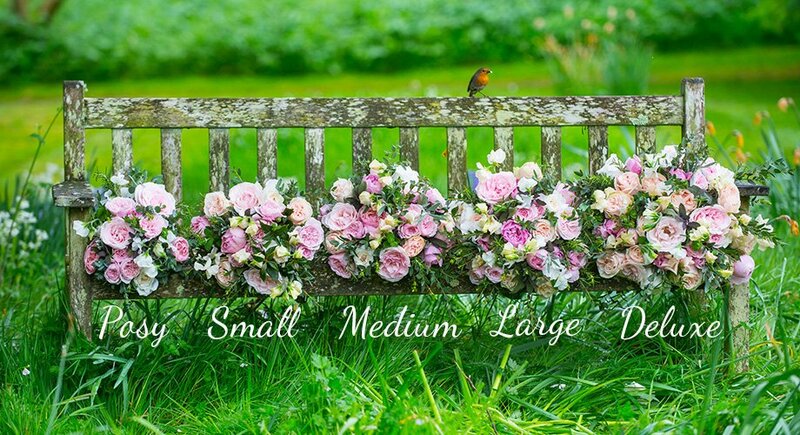 This funeral sheaf is available in a Small (7 Roses), Medium (12 Roses), Large (18 Roses) & Deluxe (22 Roses). The bouquet photographed is a large size.